The new Michelin Aviator tyre has many of the same features found on our top-of-the-line Michelin AIR. Like the Michelin AIR, the Aviator offers exceptional balance, a new sidewall configuration and an extra strong nylon casing. It also features the tough MX1000 tread compound for long life, and a specialized sidewall compound to protect against ultraviolet light. And since it is available at a very attractive price, you’d be hard pressed to find a better aircraft tyre for the money. 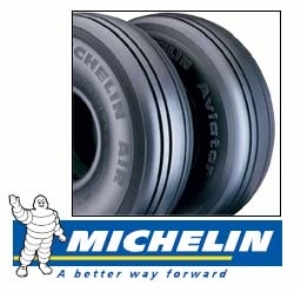 Click here to download the Michelin - Care & Service Manual in PDF format.